For the past four years, we’ve been participating in microloans to small business owners in developing countries through Kiva (http://www.kiva.org/). On December 13, we got an e-mail that a journal entry had been posted about one of our loan recipients — Babken from Armenia. Journal entries are a way for Kiva to keep in touch with lenders about the people they’re helping. We’ve also gotten journal entries with video of one of our entrepreneurs, which was pretty cool. The journal entry we received about Babken said he’d had good profits from his bakery business and was able to pay off his loan prematurely. What great news! To tell you a little about Babken (pictured below): he’s a young man in his mid-20s with obvious business know-how, but who lacked the resources to grow his business. With help of 113 lenders on Kiva, he secured a microloan and has taken his business and excelled at it in a very short period of time. 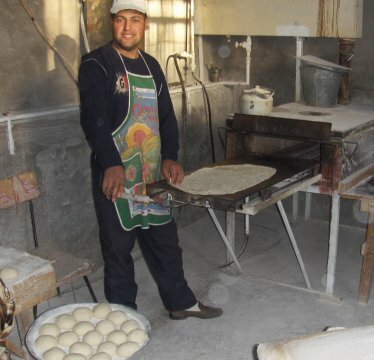 He has been able to put himself through teacher-training school and was even able to buy a car with the profits he made, allowing him to deliver his baked goods to area shops. It’s very humbling to be a part of someone’s success and it was so inspiring to read about Babken’s progress for the past year. With Babken’s loan paid off (congrats, Babken! ), we had the option to reloan our funds, which we did. 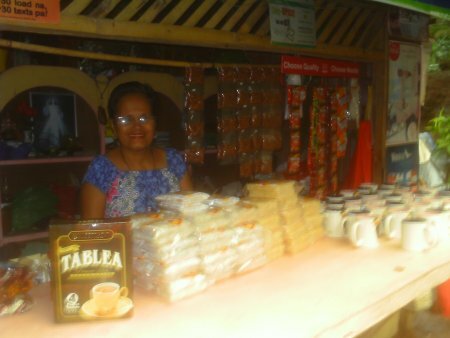 Our final Kiva loan for 2010 goes to Nelva from the Phillippines. Nelva is in her mid-50s and has three adult children. For the past four years, she has owned her own business, making and selling snacks in her local community. She’s getting a microloan from seven lenders on Kiva to buy raw ingredients, such as flour and peanuts, which will help her to keep growing her business and to improve her living situation. We’re excited to see if any journal entries get posted while Nelva is paying off her loan to see how she’s progressing.